Acidic cleaning concentrate for internal and external cleaning of tanks, silos, containers, etc. Removes very easily and without any residues stubborn mineral dirt such as lime scale, rust, cement, salt, etc. 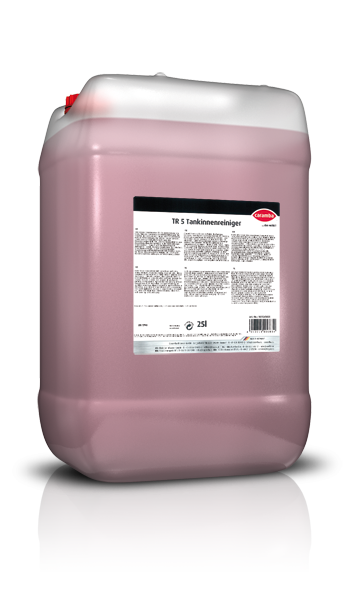 This product can be used for both mechanical and also manual internal tank cleaning. Apply inside the tank via the spray head. Concentration: 1% to 3% depending on the extent of soiling and available equipment. Manual processing: Undiluted or diluted up to 1:10. The reaction time after the application depends on the area of application, amount of product and surface material. 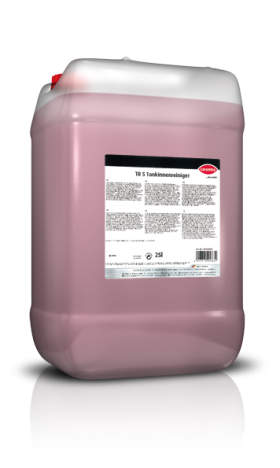 For external cleaning of tanks: Apply the product diluted up to 1:5 with water.